In 1997 Hemke de Weijs graduated from the University of Groningen and started to practice law as legal counsel Intellectual Property and ICT. 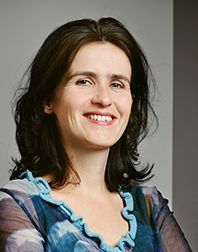 As from 2000 she worked as intellectual property lawyer with a big specialised law firm in the western part of the Netherlands. She joined Nysingh in 2006. She specialises in the field of intellectual property law and is very experienced in advising, litigating and drafting agreements about all kinds of intellectual property subjects. In this field she has advised and represented multinational and national companies in such diverse sectors as the pharmaceutical industry, the (fast moving) consumer’s goods industry, the agro-business as well as the media and entertainment area. Given the nature of most intellectual property matters, she is involved in interim injunction proceedings on a regular basis: the plaintiff wants the infringement to be ceased immediately. As an example, she has litigated about trade marks on food packing, about defamatory publications, (pharmaceutical) advertising, television programmes, slogans, designs, copyright in a digital environment and about publishing rights. In addition, she has written several publications about different intellectual property issues.